Are you getting ready for Valentine’s day? It’s such a fun holiday to take a moment and share with those you love how much you care. I showed my kids how to make an easy Valentine accordion hearts card and took the time to make one for my sweetheart, too. 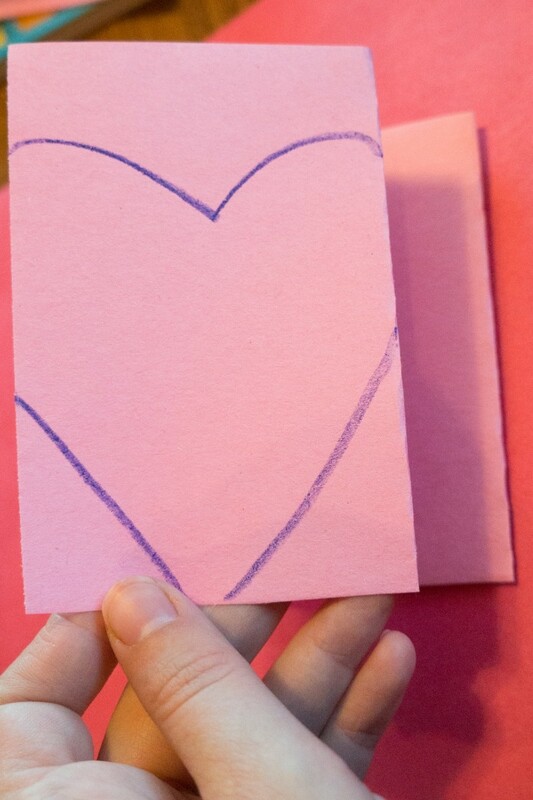 This is a really easy card to make with kids and looks really cute! I cut a sheet of construction paper into thirds, cutting across the width when holding the paper in portrait orientation. This gave me 3 strips about 4″ tall by about 9″ wide. Next, fold the strips in half and then fold back from the half fold to the edge on each side creating four sections of about 4″ tall by a bit over 2″ wide. 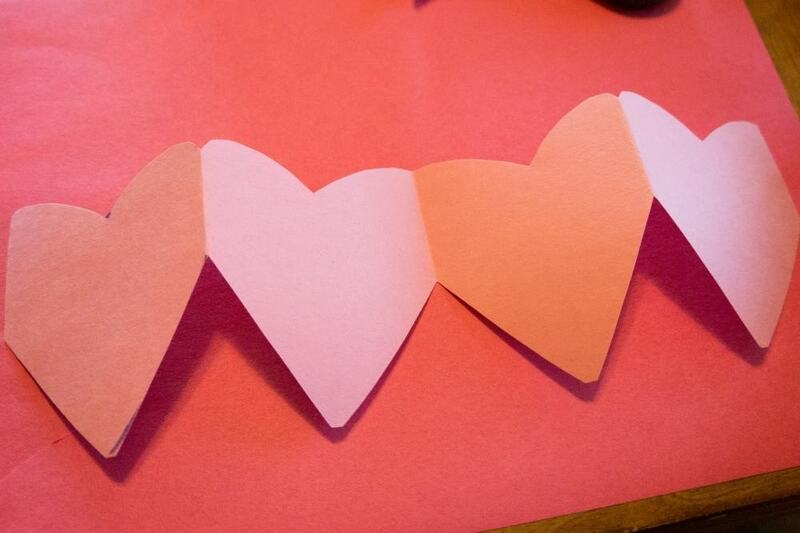 With your strip still folded, draw the shape of a heart, allowing your heart edges to go over the side so that when you make a cut, the edges will still be connected. When you unfold the card, you’ll have four hearts all strung together. I repeated this process two more times, using another sheet of pink and tracing the first cut out heart template so the cuts all looked similar. I used one strip red and one more of pink and then taped them together at the back of the folds where they would meet. Now, you’re ready to start decorating! Decorate your first and last accordion heart with a cute design, it’s what you’ll see at first glance when your card is folded shut. 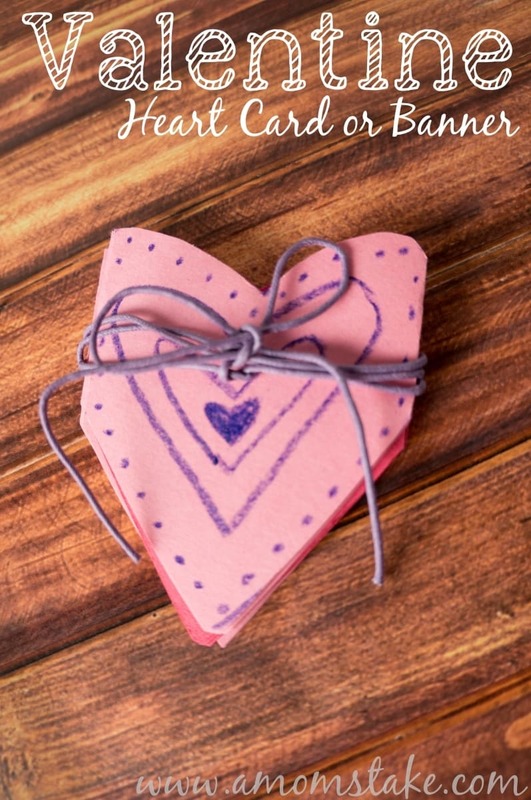 Next, you can add a secret message inside the card with a letter on each heart or share something you love about the recipient on each of the individual hearts inside. When you are ready to fold your card back up, they should flow perfectly together. If the fold pattern is off, just refold the hearts at the creases so that they alternate and the card folds nicely into a stack. Secure closed with a piece of twine or yarn. My boys thought this card was so much fun and loved pulling it open and folding it back up again. They also thought it was really neat how a message was hidden inside the card that you couldn’t see from the outside. When the recipient receives their card, they can even hang it as a cute little banner! 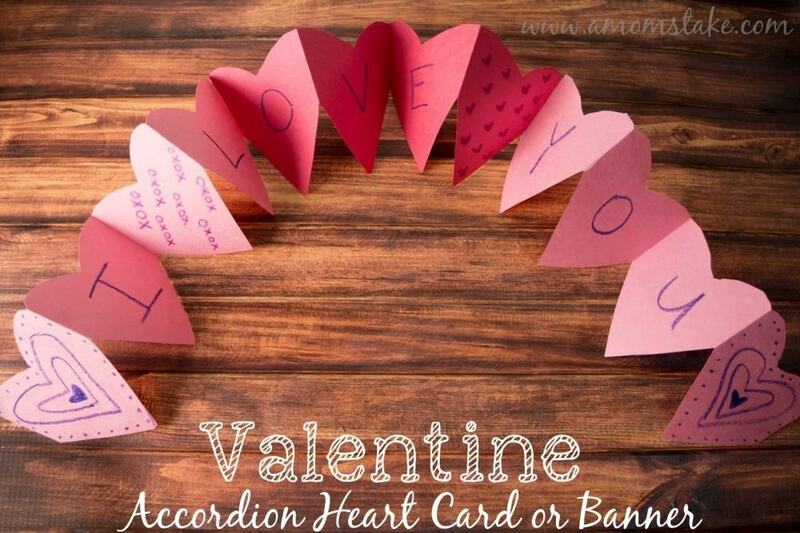 What would you write inside a Valentine Accordion Hearts card? Very cute! Thanks so much for sharing at the Wildly Original link party! Aww, so cute! I love crafts that you can do with kids! Lovely! I really like this and I can see my boys being able to make these with just a little bit of help. This would let them be able to surprise me with their message on Valentines Day. That is an adorable idea! I like how simple it is to make, kids would be so proud to give it to a parent. That is such a cute Valentines day card. I will have my girls make their class mates home made ones like this, this year. Awe, this is so cute! This will be a fun weekend project to work on with my son. I love this and kids would be aable to do it. I want my niece to make me one, it is darling. This is nice and colorful and I like how a message can be put on each little heart. What a fun idea! This would be really special to make for a grandparent! Each heart you could write something special about the person.